Disappointed I’ll only be able to make it to the Baylor game on Waco this year. I’m hoping I can score tickets to the Villanova and drive/fly up for my birthday that weekend, but I’ll have to get lucky on when single game tickets go on sale to the public because I’m not paying $450 on StubHub for that game. @Texas-Hawk-10 I hope you get a ticket, I’m going to that game. FOUR ESPN BIG MONDAYS NO SURPRISE AS KANSAS COMPLETES 2018-19 SCHEDULE For the 13th year in a row Kansas men’s basketball will be featured four times on ESPN Big Monday, according to the 2018-19 Big 12 Conference schedule released by the Conference Wednesday. And for the 27th-consecutive season, dating back to 1992-93, every game on the Kansas men’s basketball schedule will be televised. Kansas will have 31 of its 33 contests televised on the ESPN family of networks. Those 31 games will also be available via the ESPN app. 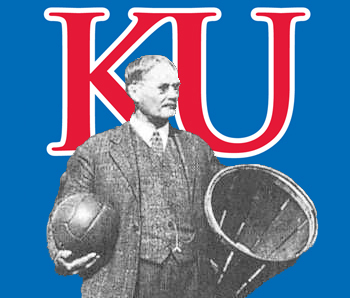 Among those 31 games are the six games (two exhibition, four early-season) produced by the Jayhawk Television Network. KU fans can now see those six games throughout the state of Kansas and in the Kansas City Metro Area on KMCI (38 The Spot, Kansas City), Spectrum Sports, Midco Sports Network, and Cox Cable. They will also be available blackout-free, nationwide on ESPN+. CBS will broadcast two games – Saturday, Feb. 2, against Texas Tech in Allen Fieldhouse and Saturday, March 2, at Oklahoma State. The Big 12 opener for Kansas will be against Oklahoma on Wednesday, Jan. 2, in Allen Fieldhouse. Kansas, 14-time defending Big 12 regular-season champion, will play each conference foe twice in the round-robin format that began in 2011-12. I’m in Ohio and I went to the Champions classic last time it was in Indy. This year the prices look INSANE!